OSTEOPATHY is a recognised, safe, manual therapy used to diagnose and treat abnormalities in the function of the musculoskeletal system (bones, joints, muscles, tendons and ligaments). The principle of osteopathy is to work with the patient's own healing mechanism to restore balance and function throughout the whole body and alleviate pain following injury, disease or stress. After treatment patients' often report an increased sense of well-being. Osteopaths use a variety of techniques, which include stretching and massage of the muscles and manipulation of the joints. Occasionally joints are 'clicked' to improve joint mobility. The osteopath can give advice on posture, movement, the correct seating for work stations, exercises and joint care. Osteopaths work under the principle that there may be a number of contributing factors to the symptoms and may work in other areas of the body not just the symptomatic area. Osteopaths believe that the healthly balance and function of the musculoskeletal framework of the body is essential to whole body health. For example, a sprained ankle may cause a limp which in turn causes other parts of the body to compensate causing pain or restricted mobility in other areas. CRANIAL OSTEOPATHY involves very gentle and subtle balancing of the bones and connective tissues throughout the body, including the head. These techniques can be used alongside conventional osteopathy or exclusively when the skeleton is softer in babies and children, the elderly, during pregnancy or in patients with osteoporosis. 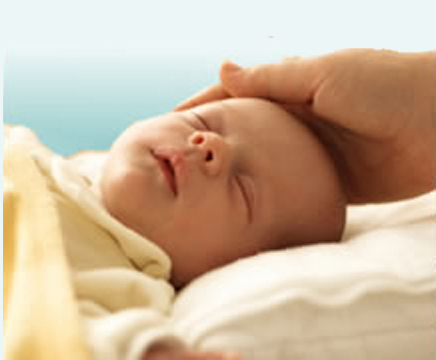 These safe, gentle, non-manipulative techniques could help soothe and relax your baby. Patients often report feeling very relaxed with this form of treatment. HOMEOPATHY is a natural medicine that has been around for over 200 years. 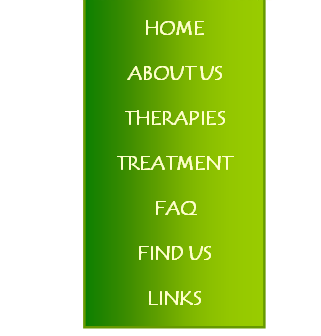 It is a holistic therapy which means it takes into consideration the individual as a whole: mind, body and spirit. Homeopathy is one of the most gentle, effective, and sympathetic forms of healing. More and more people are turning to Homeopathy as their first choice of health care. It provides a natural alternative to antibiotics and other prescribed medicines. Homeopathy can help people of all ages. It is safe to use during pregnancy and childbirth, promoting a healthy mother and baby. HOMEOPATHIC REMEDIES There are over 3000 natural Homeopathic remedies derived from animal, plants and mineral sources. They are prepared in the form of tablets, liquid or granules, which are easily dissolved in the mouth. Homeopathic medicines are non-toxic, non-addictive, and free from side effects. They will work alongside any prescribed drugs you may be taking without any adverse effects. 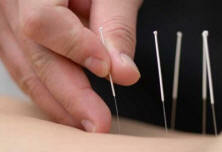 ACUPUNCTURE is a part of traditional Chinese medicine, practised in the East for over 2,000 years. It uses fine needles to stimulate the body's own healing response, thus restoring the natural balance. The focus of the treatment is to recover the equilibrium between the physical, emotional and spiritual aspects of the individual. It is used to treat a wide range of illnesses and for pain relief. Acupuncture is commonly used in the treatment of pain, relieving common symptoms and promoting general health and well-being. Scientific evidence indicates that acupuncture can be effective for pain relief with arthritic conditions, as well as back pain. It is also used in many conditions such as migraine, sports injuries and menstrual period pain.